As you might already know, summertime is a very busy time for real estate agents. That's why so many home buyers decide to enter the market during this time of year. If you too are a prospective home buyer planning to enter the market soon, then you've visited the right real estate blog! Today, we're going to share four things that every home buyer should know about appraisals. And unless you're independently wealthy (or have been successful in building a sizeable savings account), you will more than likely end up requesting a loan. When you ask for that loan, banks reference your home's appraisal as a way of deciding how much to give you. That's why appraisals are so important. Consider this example: Let's say you make a purchase offer on a home for $120,000. You need a loan for exactly that amount. However, when the appraisal comes back, it says the home is worth only $100,000 – and the bank isn't willing to give you a penny more. This means that you're faced with a $20,000 budget gap. And that's enough to kill many a real estate deal. But Don't Worry – We Can Help! Appraisers must meet certain criteria first. According to the Appraisal Institute, a qualified appraiser should be licensed or certified and also should be familiar with the local area. 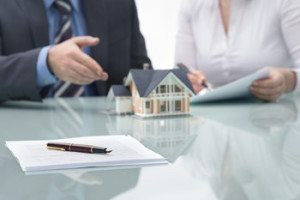 What's more, federal regulations stipulate that the appraiser must be impartial and have no direct or indirect interest in the transaction. Fannie Mae even requires that appraisers certify that they have experience appraising similar properties in the same area. Appraisal values are influenced by a number of factors. For instance, appraisers will consider recent sales of similar properties as well as current market trends. They'll also factor in such things as the home's amenities, number of bedrooms, floor plan functionality and more. Appraisers are required to do a complete visual inspection of the interior and exterior of the home. During this time, they're also required to note any conditions that may adversely impact the property's value. This may include needed repairs. Generally speaking, appraisers use Fannie Mae's Uniform Residential Appraisal Report for single-family homes. This report asks the appraiser a number of questions, including what the home's interior and exterior look like, what neighborhood it's located in and what nearby comparable sales there are. Other parts of the report include: a street map showing the appraised property, an exterior building sketch, an explanation of how the square footage was calculated, and photos of the home. After providing all of this information, the appraiser offers an analysis and conclusions about the property's value based on this information. Hopefully, if all goes well, the appraisal on your next home will go smoothly and you'll be that much closer to owning your own home. For EVERY stage of the home buying process, we want you to know that we'll be there to assist you in order to make the experience as seamless as possible. Contact us today to learn more about the services we provide and the valuable advice and insight we can offer.